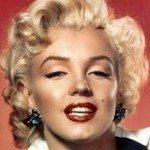 The names of 1950s famous people and influential people are scattered throughout the FiftiesWeb. This is merely a short-short list for those of you who have been asked the question, Name Some Famous People. 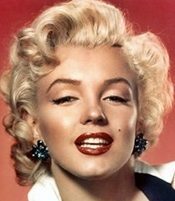 Legendary actress and star of such films as Gentlemen Prefer Blondes (1953) and Some Like It Hot (1959). She was married to baseball legend Joe DiMaggio and playwright Arthur Miller (see “Arts” below). She died of an overdose of sleeping pills, which probably was suicide. Actress. Her films include National Velvet (1944), A Place in the Sun (1951), Giant (1956) and Cat on a Hot Tin Roof (1958), and Cleopatra (1963). She won Oscars for Who’s Afraid of Virginia Woolf? (1966) and Butterfield 8 (1960). Taylor has been active in fundraising for AIDS-related causes. 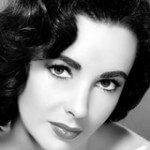 Her former husbands include Eddie Fisher, Richard Burton (twice) and most recently construction worker Larry Fortensky. Click Here for full list of her hubbies! 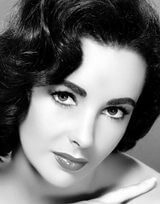 A singer, actress who was America’s No.1 female box office attraction during the late 1950s and ’60s. 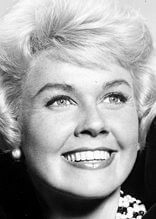 Doris Day starred in a number musicals, comedies, and thrillers, including The Pajama Game (1957) and Pillow Talk (1959), often pairing with Rock Hudson. 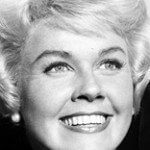 She later left films to star in the popular TV sitcom The Doris Day Show (1968–73). Her hit songs include Que Sera Sera. 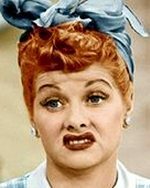 Zany comedienne best known and loved for I Love Lucy (1951–57). 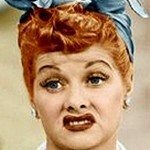 Lucille Ball won 8 Emmy’s over the years of her career. Her films include Stage Door (1937) and Mame (1974). She was married to Cuban bandleader Desi Arnaz, with whom she had children Desi Arnaz, Jr. and Lucy Arnaz and later to Gary Morton. 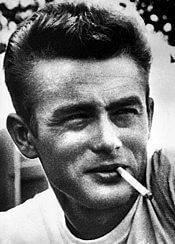 Brooding, rebel actor who achieved cult-figure status after making only three films, Rebel Without a Cause (1955), East of Eden (1955) and Giant (1956). Dean died in a car accident which cut off a promising career. Both an Academy Award-winning actor and a Grammy Award-winning singer. 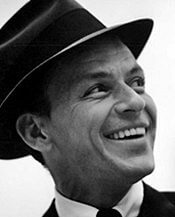 ‘Ole Blue Eyes, the Chairman of the Board is perhaps best known as the leader of the Rat Pack, a group which included Dean Martin, Sammy Davis Jr., Peter Lawford and Joey Bishop. 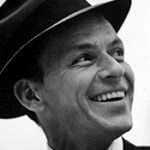 Sinatra was a heartthrob for bobby-soxers who phrasing of songs remains classic. His screen performances include From Here to Eternity (1953) for which he won the Oscar, The Manchurian Candidate (1962), and The Man With the Golden Arm (1955). Portrayed the quintessential American hero onscreen. Best known as a cowboy in John Ford directed Westerns such as Stagecoach (1939), Fort Apache (1948) and She Wore a Yellow Ribbon (1949) and Rio Grande (1950). 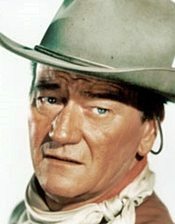 Wayne won an Academy Award for True Grit (1969). 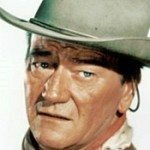 Click to Hear John Wayne. Hemingway shot himself, committing suicide by gun as had his father before him. South’s greatest playwright whose plays reflected his Southern experience. He achieved more fame when many of his plays were made into movies. 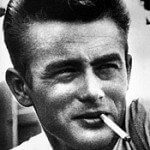 Works include “The Glass Menagerie” (1945), “A Streetcar Named Desire” (1947 for which he won the Pulitzer), “Cat on a Hot Tin Roof” (1955 for which he won the Pulitzer) and “Night of the Iguana” (1961). Leading American dramatist whose best known work, “Death of a Salesman” (1949) won the Pulitzer Prize. Other works include “The Crucible” (1953), “A View From the Bridge” (1955 also a Pulitzer Prize), “After the Fall” (1964) and the screenplay for “The Misfits” (1961). Miller’s fame increased when he married Marilyn Monroe in 1956, later to divorce in 1961. In 1957 Miller was convicted of contempt of Congress for refusing to name names to the House Un-American Activities Committee. In 1958 United States Court of Appeals overturned the conviction. Pediatrician whose book, “Baby and Child Care” (1946) would become the manual for the parents of Baby Boomers. Spock’s book would be translated into 39 languages and sell more than 50 million copies, making it second in sales only to the Bible. His work consists mainly of one book and some short stories. But what a book. “The Catcher in the Rye” (1951), a novel about a schoolboy at odds with society, was wildly popular with college students. In 1965, Salinger retreated from public life. An American writer whose first major work, “The Caine Mutiny” (1951) was later turned into a popular movie starring Humphrey Bogart. Then came Marjorie Morningstar (1955) which was made into a movie starring Natalie Wood. Two later novels about World War II, The Winds of War (1971) and War and Remembrance (1978), were equally successful and formed the basis for two television miniseries. Paperback novels enjoyed banner sales in the Fifties with Mickey Spillane’s creation of Mike Hammer at the front of the pack. There have been 13 Mike Hammer books, 2 television series and many movies and made for TV movies. Spillane has sold over 130 million books. Painter who’s style is considered abstract expressionism. His experimentation’s led to the development of his famous “drip” technique, in which he energetically drew or “dripped” complicated linear rhythms onto enormous canvases. He was killed in an automobile accident. Elected vice president in 1944, Truman became president upon Franklin Roosevelt’s sudden death in April 1945. This was during World War II and Truman had to finish defeating the Axis powers. Germany surrendered on May 8, 1945 but to end the war with Japan,Truman authorized the dropping of atomic bombs on Hiroshima and Nagasaki on Aug. 6 and Aug. 9, 1945. Japan surrendered on Aug. 14. Eisenhower was frist a war hero who served in the Philippines from 1935 to 1939 with Gen. Douglas MacArthur. Afterward, Gen. George C. Marshall, the Army Chief of Staff, brought him into the War Department’s General Staff and in 1942 placed him in command of the invasion of North Africa. In 1944, he was made Supreme Allied Commander for the invasion of Europe and commanded the D-Day invasion of Normandy. In the 1952 Presidential election, he defeated Gov. Adlai E. Stevenson of Illinois. Eisenhower was re-elected in 1956 by again defeating Stevenson, 457 electoral votes to 73 for Stevenson. His Vice-President was Richard M. Nixon. Nixon is the only President forced to resign in disgrace. Scandal was always part of his political life and in 1952 he was forced to make what is known as the “Checkers” speech. As Vice-President, Nixon often traveled abroad, and in 1958 he faced a hostile demonstration in Venezuela. In 1959 on a trip to the Soviet Union, he engaged in a much-publicized informal “kitchen” debate with Premier Nikita Khrushchev. In 1960 Nixon was defeated by John F. Kennedy for the presidency even though he gained almost as much of the popular vote. Nixon won the White House in 1968 by defeating then Vice-President Hubert Humphrey and again in 1972, against Senator George McGovern of South Dakota. The Rev. Dr. Martin Luther King, Jr. is deservedly the name most closely associated with the Civil Rights movement in the United States. His message of nonviolent protest resonates today. Dr. King organized the massive March on Washington (August 28, 1963), which brought more than 200,000 people together and where, at the Lincoln Memorial, King delivered the “I Have A Dream” speech. In 1964 he was awarded the Nobel Peace Prize. 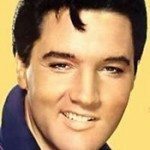 On April 4, 1968, he was shot and killed on the balcony of the motel where he was staying. James Earl Ray was later convicted of his murder. His birthday is an American national holiday, celebrated on the third Monday in January. Queen of Great Britain since 1952, she is the eldest daughter of King George VI. She married Lieutenant Mountbatten, now His Royal Highness The Prince Philip, Duke of Edinburgh in Westminster Abbey on November 20, 1947. Her Majesty was Time Magazine’s Woman of the Year in 1952, when she accessioned to the throne. He was named Time Magazine’s Man of the Year in 1957. 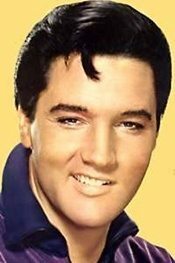 He toured the United States in 1959. In 1962 he was forced to remove missiles from Cuba, backing down to President John Kennedy. In October 1964, Khrushchev was removed from power at least in part because of his failure in the Cuban Missile Crises. Thereafter he lived in obscurity outside Moscow until his death in 1971. French general and statesman, first president (1959–69) of the Fifth Republic. During World War II when France was invaded by Germany, De Gaulle, who had opposed the Franco-German armistice, fled in June of 1940 to London, where he organized the Free French forces and rallied several French colonies to his movement. De Gaulle was Time Magazine’s Man of the Year for 1958. Architect of the then new nation state of Israel. Prime Minister of Israel 1948–53, 1955–63.